Is it Possible to Convert a Manual Suzuki Mehran to Automatic? It is certainly possible. Depending upon the make & model of the vehicle, it may be a massive project or it may be only a large project. 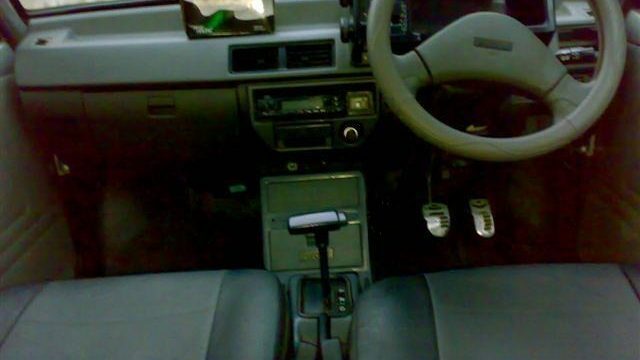 A recently launched vehicle will probably require a different computer and may need a different dash gauge head, thus complicating matters. An older vehicle which is comparatively easy to sort out can be experimented with. In this case, we will be limiting our quest to Suzuki Mehran, which is a vehicle introduced in 1989 and has been a recipient to an engine upgrade in 2012. So, Is it possible to convert a Manual Mehran into Automatic? I am going to go ahead and talk about all the options that I have observed for this situation and hopefully share my conclusion on replacing a manual transmission. 1: Reconfiguration– For starters, you’ll have to reconfigure your entire drive-train, and I mean a complete reconfiguration. This is mostly because automatic transmissions function in an entirely different manner as compared to manual transmissions. ECM is engine control module on Manual transmission vehicles, and PCM is power-train control module on Automatic transmission vehicles. You will need one of those. Is the body and engine wire harness capable of accepting a new ECM/PCM or will you have to replace the body and engine harness? The floor panel may have to be removed to accept the shift mechanism if it’s floor mounted. So there is going to be cutting and welding involved in this procedure to install an automatic gear shifter. Since Mehran is front wheel drive, it’s, and the donor car’s axles may have different lengths, so it is imperative to consider this factor as well. Front wheel drive cars might have different shocks or struts on automatic and manual vehicles since automatic transmission is heavier than its counterpart, it might have to sit lower in the front, if you put an auto in a manual. Rest assured; this endeavor will burn a very neat hole in your pocket and can be very cumbersome considering the changes you’ll have to make in the vehicle’s chassis. 2: Automatic Clutch – Some might argue that this procedure could be a lot smoother if an automatic clutch is installed instead of partially redesigning the car. Academically speaking, automatic clutch provides you with a button on the gear shifter that electronically operates the clutch without you manually operating it by foot when changing the gears. In an ideal scenario, your manual transmission will remain untouched, instead of using your foot to operate the clutch, you’ll have to press the button on the gear knob-shifter to operate the clutch. It seems like a safe after-market fitting. On paper, it may seem like a great option, but pursuing the installation of automatic clutch requires a seasoned technician and mechanics. Last but not the least is equipment cost (including clutch, ECU, wiring harness, etc. ), availability of parts in the local market, labour cost, time, patience and money, required to take on this enormous project. While I might have pointed out, only some of the factors influencing or affecting this endeavor, I am pretty sure seasoned automobile experts will be able to add into these points and provide some valuable insights. Furthermore, I think, attempting to convert a manual transmission into an automatic is possible but not easy, in any figment of the imagination. The most practical thing to do is part ways with your beloved Suzuki Mehran and buy an automatic Japanese car. and on a car like Mehran. No thanks! Mehran is not worth to spend such time and efforts. I think the conversion is possible within 100k. Get an engine swap with a 660cc Alto with CVT transmission after checking the engine mounts, I believe they are the same. I’ve seen this done on our obsolete Alto, Cuore, even the Charade. Just make sure you have a good mechanic first who knows his way around a car. 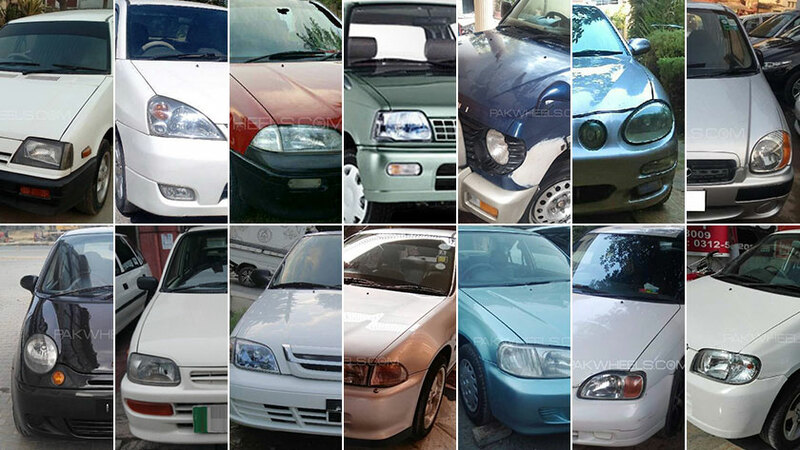 can you post more details about mehran automatic from your neighborhood. The author is in great confusion about suzuki MEHRAN reliablity and thinking it will be an achievement after converting scrap from manual to auto ?, What a great tech background and a petrol head.